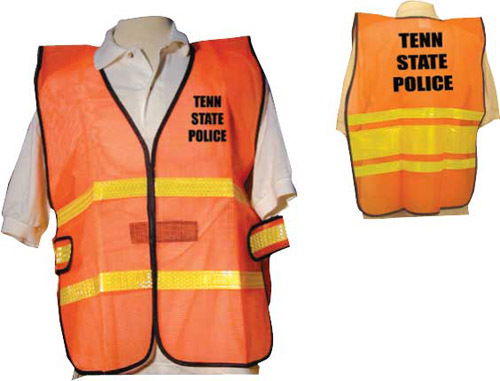 The Mesh Safety Vest Rx is a great promotional product for schools, utility companies and traffic control. This safety vest is made from 6 oz. PVC heavy mesh and features bright attractive reflective stripes, black binding, and hook and loop front, hook and loop adjustable sides. The vest is available in L, XL and 2XL. Make your mesh safety vest complete by adding on a personal message or your company logo.